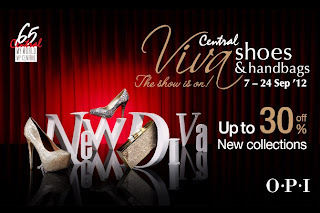 The Central Viva Shoes & Handbags sale is on at all branches of Central Department Stores until September 24th, 2012. 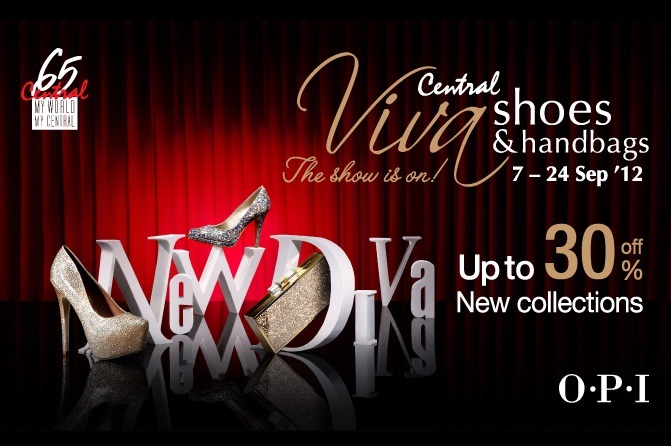 The sale offers upto 30% off on participating brands of shoes and bags, including new collections. The event is definitely worth a checkout for those who find it difficult to fit into the regular 200-300 Baht shoes found in markets. The quality and variety at Central is very diverse and you can be sure to find something to you liking. Besides, users of The 1 Card can also exchange their accumulated points to avail of discount coupons, which are currently being accepted at certain counters till October 15, 2012, as part of the Central The 1Card Xtreme promotion. Note that if you make purchases from several participating counters, you can combine your purchases and pay at one counter, so that your discount coupon applies to all.